Scott Duffey is a Designer and Illustrator who enjoys silly side projects and all sorts of other activities that distract him from what he should be doing. Here is a brief bit about me, based in Liverpool where I both now live and work, I am but a stones throw from where I grew up. Starting my love for Art and Design in High school I then went on to study at a local college which clarified my choice to continue my persuit to make a career out of doing what I love. This lead me to the University of Chester where I studied with and under the guidence of inspiring individuals. It was in the walls of Chester that grew my love of learning new exciting techniques both relivent to Design and also not quite so relivent. I am always up for a challenge which is what made me learn web design and although I have always loved drawing its really the last few years that ive found myself slightly obsessed by its charm, which brings us neatly to this website which is now a place for me to share my illustration and test out web skills! Skills I love utisiling are mainly Illustration, Web design, Screenprinting and generaly being a bit creative. 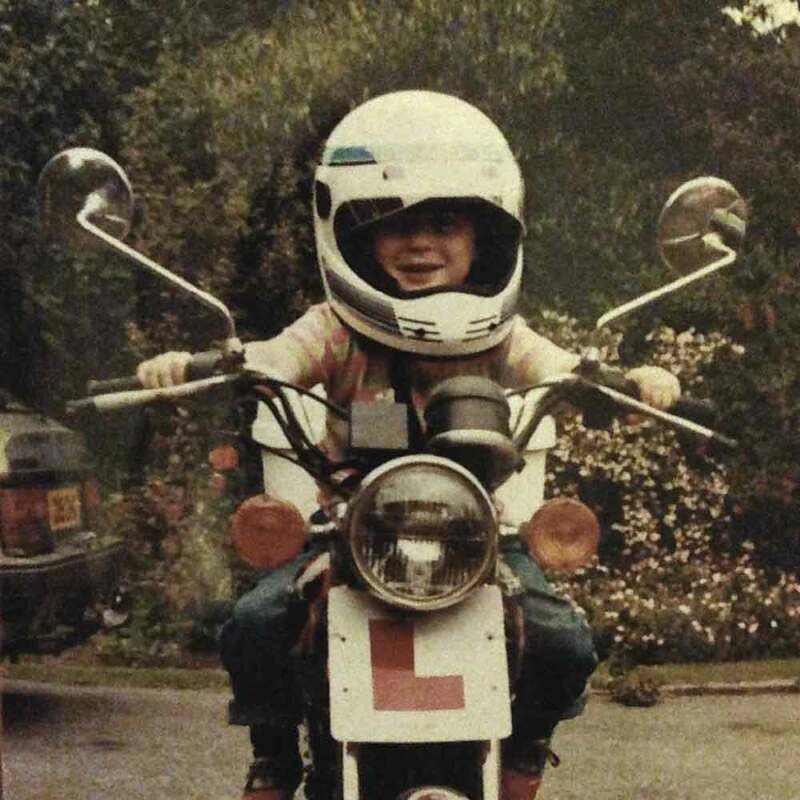 ... and Yup that is a picture of me age 6 on a motorbike. Dont even like motorbikes.